The Jeep Wrangler Sport has a massive global fan-base. There simply isn’t a more capable off-roader for the price. It’s great for throwing the surfboard or the tent in the back with a couple of mates and heading off to those hard to reach locations normal cars envy. 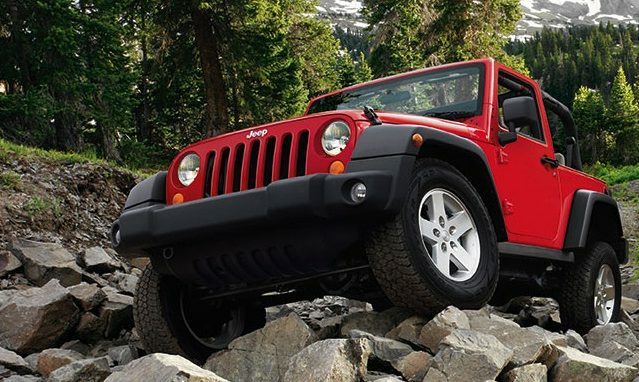 For 2012, Jeep has kept the Wrangler formula largely unchanged. And that’s a big part of its charm. Crack the bonnet though and you’ll notice more substantial changes. The old 3.8 litre petrol V6 has been turfed in favour of the new Chrysler Pentastar V6, an all-alloy 3.6 litre unit that produces more power, more torque and fewer emissions. The Pentastar engine from Chrysler has been critically acclaimed around the world. Sprint and overtaking times have been improved over the old model, and the gearbox has also been updated to a five-speed automatic. Excellent wheel articulation, generous ground clearance and a capable four-wheel drive system make it near unstoppable in the bush. The extra power and torque of the Pentastar V6 really shines here too. Steep grades, sandy beaches and tight-radius corners are all handled with ease. And lower gearing and lockable front and rear diffs enable it to crawl out of even the tightest situations. The Jeep Wrangler Sport is a nice looking car that’ll take you wherever you want to go and have a lot of fun along the way..